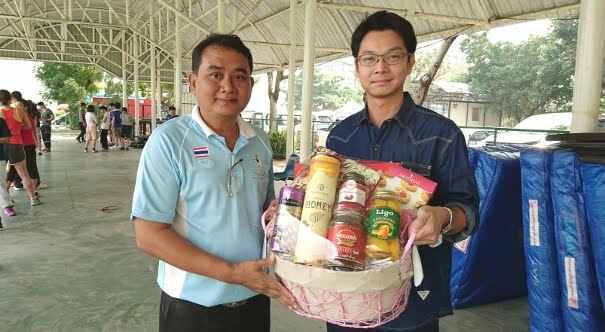 A little bit late but again this year, we collect donation money from Siam Kyudo Kai member for new year basket and go to formally express our gratitude and say Happy New Year to National Archery Association of Thailand last Saturday. Mr. Sanguan, the president, Coach Yod and the association have been supporting us a practice place and giving an advice to our Kyudo activities for many year. As a representative from Siam Kyudo Kai, I would like to say thank you very much again for your support and wish everyone a Happy New Year!